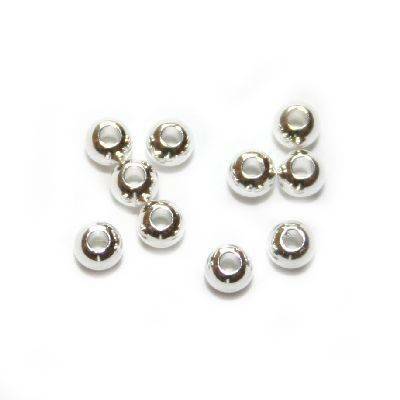 Silver plated beads with a diameter of 3 mm. The hole diameter is approximately 1 mm. The beads are made of steel, so they can not be crimped.